· Addressing supplier compliance, often seen as a risk, gives the buying organisation the ability to ensure delivery of services and to achieve those all important discounts that were originally negotiated which can slip away throughout the life of the contract. · Developing strategic supplier relationships. 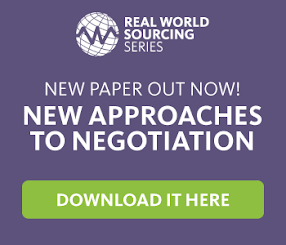 Contract management offers the opportunity to conduct supplier analysis, segmenting suppliers to determine the appropriate relationship – not all will be strategically important and require partnerships for instance. If you had to pick, which of these benefits would improve your organisation the most? Peter Smith also discusses five opportunities at length in his latest paper.